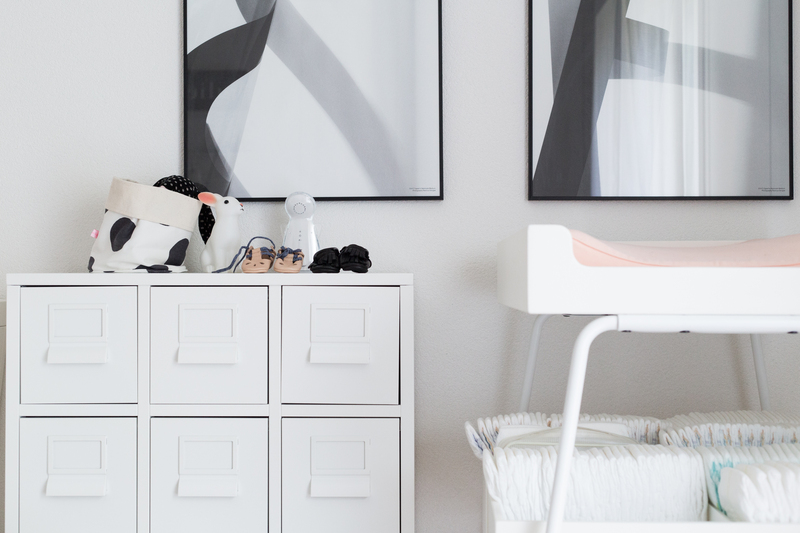 while touring our home in search of holiday gift inspiration i took so many photos of juliet’s room and realized i had so many great brands and things to show you, i realized it deserved a post of its own. this is by no means an exhaustive list of all the cute little things i’ve discovered for juliet, but they are a few of my favorites. hopefully you’ll get some good ideas out this little tour. there’s no better gift to any newborn baby in your family than a set of MARMAR underwear. they have a pretty awesome collection every season, but i’m especially fond of their timeless basics in an array of muted colors and super soft fabrics. evidently, the peachy pink is my favorite (and it matches our BUDTZ&BENDIX changing mat so beautifully). // there’s so much going on in that third picture, i’ll stick to the highlights (but if you want to know about anything else, just shoot me a comment below). that rocking horse from OOH NOO is perhaps the best match between kids’ and grown-ups’ design i’ve ever seen. and those black-and-white soft toys are from DONNA WILSON, RICE BABY and UGLY DOLL. // shoes for little ones are a no-brainer for me. MINIMOCKS makes the most beautiful little moccasins, and i love MAXIMINUS for all their other cute little models. these CUSTOM LIGHT BOXES make a wonderful personalized gift, while these black-and-white NESTING DOLLS would fit in great in any kids’ room. // the shelves are from VIPP and look as great in the kitchen (for where they were designed) as they do anywhere else in the house. // the travel changing mat is from CAMCAM and has saved our lives (or at least juliet’s hygiene and comfort) so many times on the road. // the cute little cloud mobile, finally, is from PINCH TOYS (who make a lot of really beautiful things!) // if you were looking for a pretty way to store toys (and take them to the grandparents’ house for the holidays without losing half), that mint green toybag from KAOS is the best thing ever. // and if you’re wanting to order gifts online and have them delivered straight to the recipient, there’s no other webshop that does festive packaging like PEEK&PACK, where i got this little house pillow. 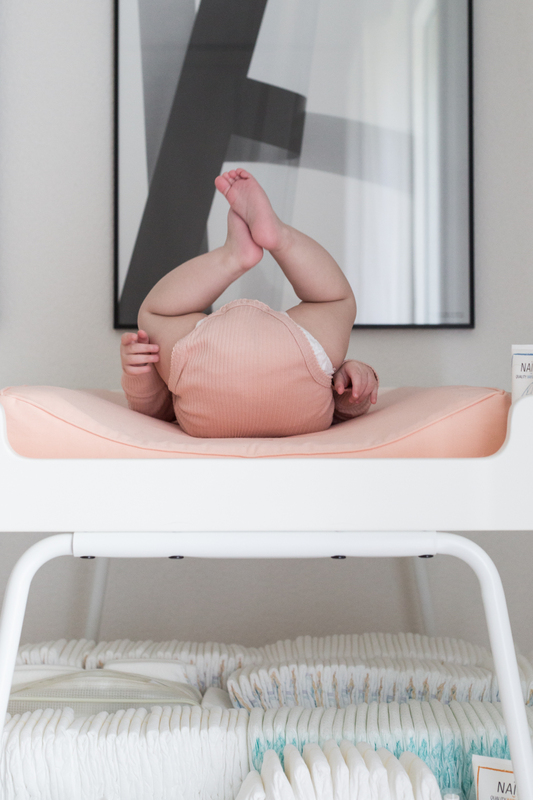 // speaking of gorgeous packaging – if you really want to spoil a baby you love (or, indirectly, their mom) then head over to the BELLE ENFANT boutique. cashmere and silk goodies are delivered in the most beautiful keepsake boxes. the blouse in that picture is prettier than anything i own myself, but i also adore their CASHMERE POM HAT! juliet loves her bed. it gives me so much joy that whenever i put her to bed, she starts smiling, grabs her bunnies and doudous, and is just generally the happiest little kid. 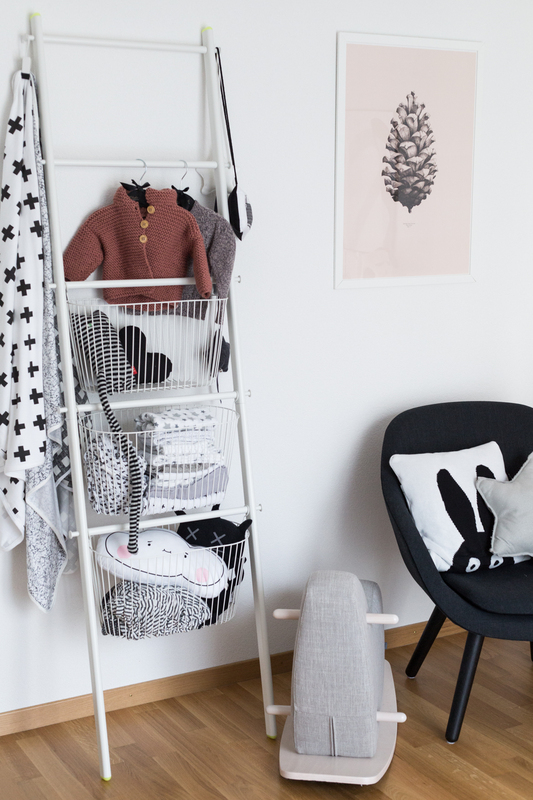 while i didn’t start out with any specific ideas to decorate her bed, i came across some beautiful brands that gave me the inspiration to create a place that is 100% her. // first, there’s CAMOMILE LONDON, a british brand run by the sweetest family. they have an amazing eye for color and were the main reason why i gave up on that ‘strict black-and-white policy’ i had for juliet’s room. seriously, check out their LOOK BOOK – it is so inspiring. you’ll recognise juliet’s sleeping bag, the duvet and the two coral pillows in the back. // the second label i came across is KIDWILD COLLECTIVE, run by the lovely dutch aafke out of the united states. i dare you to take a look at their prints and colors and not fall head over heels. you’ll see the SLATE DOT SHEET in the picture above, but i also really love the DUSTY PINK CAT print! they are of an amazing quality, too. // other things in the picture of juliet’s bed are the BUGABOO WOOLMARK BLANKET, JELLYCAT BASHFUL BUNNIES, DOUUOD DOUDOUS and NUMERO 74 STAR PILLOW. technically they’re not part of juliet’s room, but they are one of my personal favorite gift ideas. 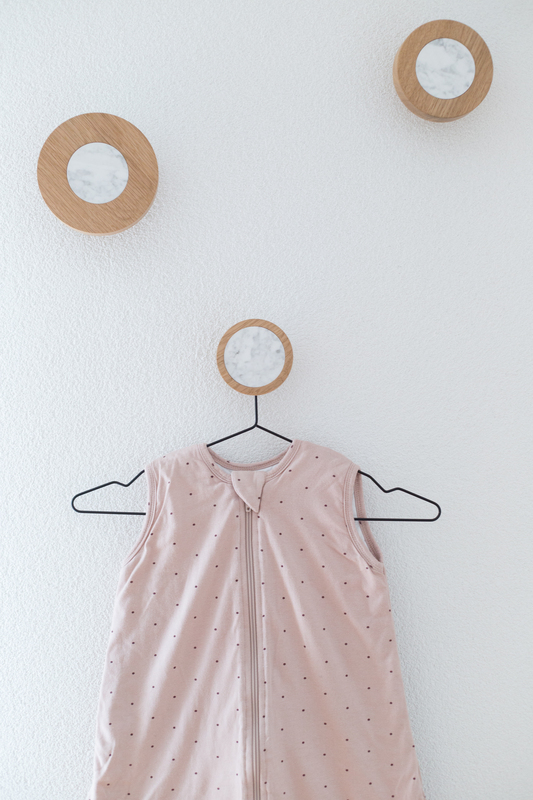 these gorgeous wall hooks are made by belgian design label HAUSMERK. the wood + marble combo is so perfect, i rarely hang anything over them because i don’t want to cover them up. 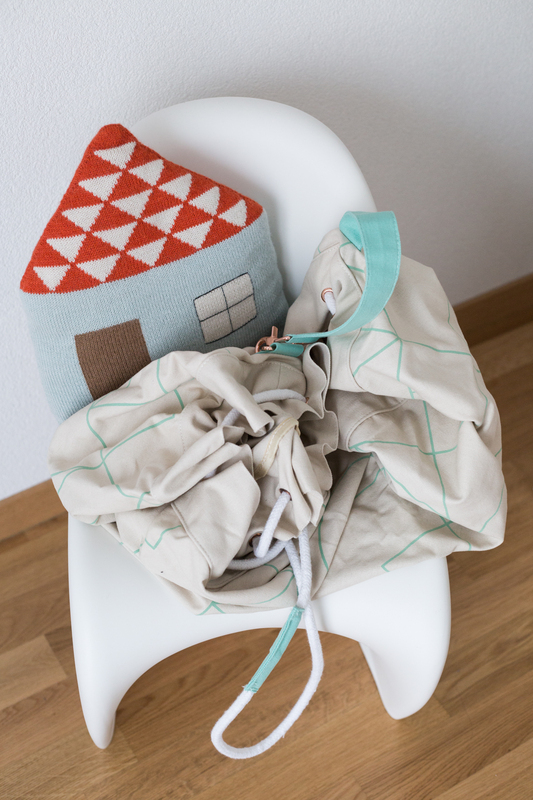 // hanging from the bottom one is a hay hanger with the KIDWILD COLLECTIVE sleeping bag in dusty pink dots. juliet never sleeps without a sleeping bag, because if we don’t restrict her movements in any way, she’ll end up underneath the mattress for all we know. // and why not give a kid the gift of imagination. i started building juliet’s library even before i knew i was pregnant. everywhere i travel, i try to pick up a nice book for her, and i’m hoping to pass on my love for stories to her. these four are my current absolute favorites to read to her. if you haven’t heard of MY ZEBRA BOOK yet, go check it out now! 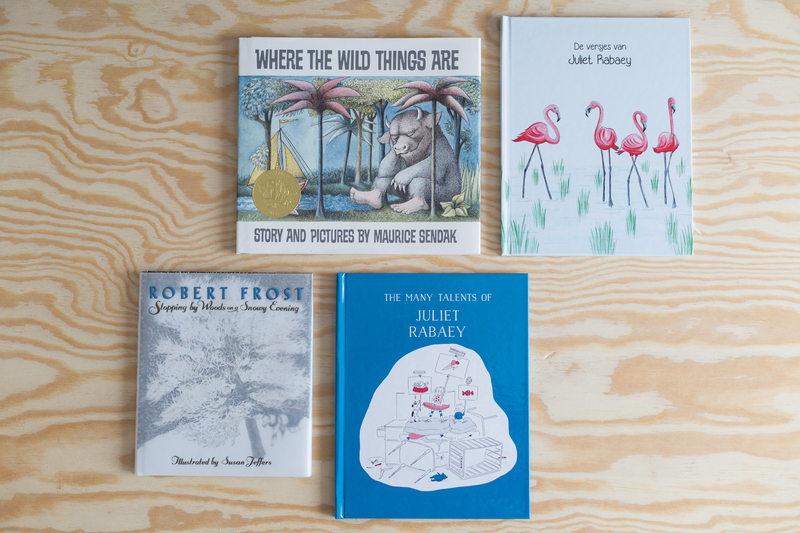 they make beautiful personalized books based on the name of the kid. the stories and illustrations are great, and it’s a really cool way to teach them how to spell their name from very early on. the other two books i picked up on travels to miami and new york. i figure you’re never too young to be exposed to different languages – especially when they’re used to tell universally beautiful stories. 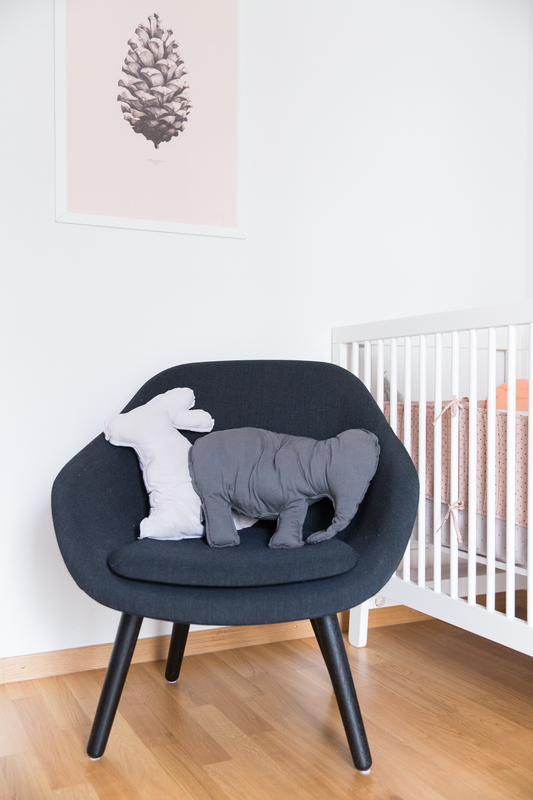 finally, some of my personal favorites… those animal shaped pillows from GRAMPA spend at least as much time in the living room as in juliet’s bedroom, simply because i think they’re so beautiful. they look as good in our sofa as in the chair next to juliet’s bed, where she fondles them while i give her a bottle during the night (all i want for christmas is for juliet to start sleeping through the night again!) // the same goes for those blankets. you’ve already seen the one from CAMCAM on our bed, and it frequently serves as a background to whatever pretty thing i want to share on instagram. the stitched pattern never gets old. // the blanket on top of that is very special to me. 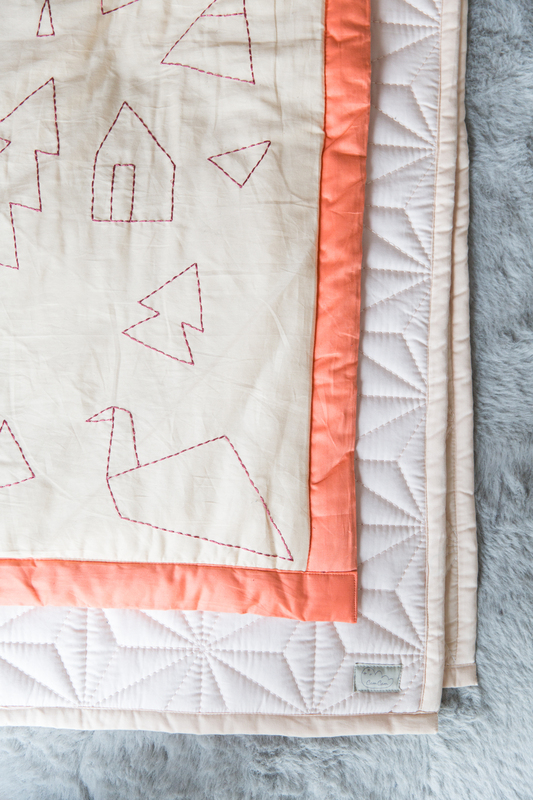 it’s the storytelling blanket from FABELAB, and was designed to encourage littles to use their imagination and create their own stories to go with the embroidered shapes. we use it as a playmat, and though she is too young to understand the concept of storytelling, she’s already endlessly fascinated with the figures and watches me intently whenever i spout nonsense about them to her. i really hope she’ll grow up remembering these moments together.